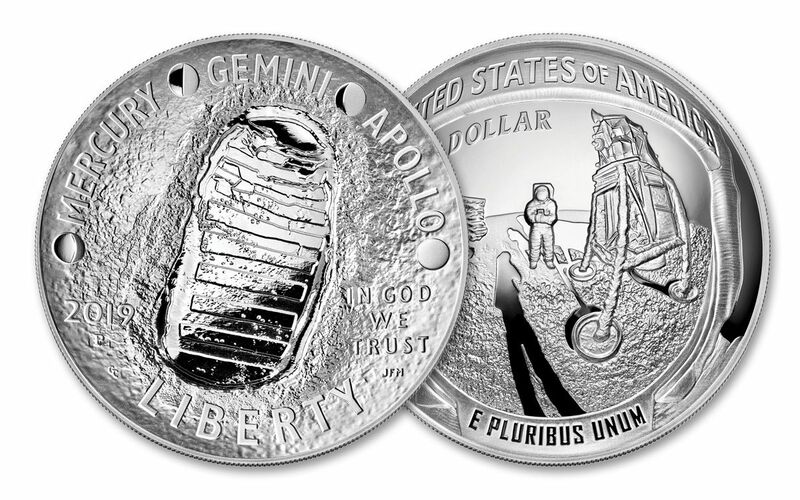 In honor of the 50th anniversary of the Apollo 11 mission, Congress authorized the release of special, limited-edition curved commemorative coins – something the U.S. Mint has done only one before in its entire 226-year history! 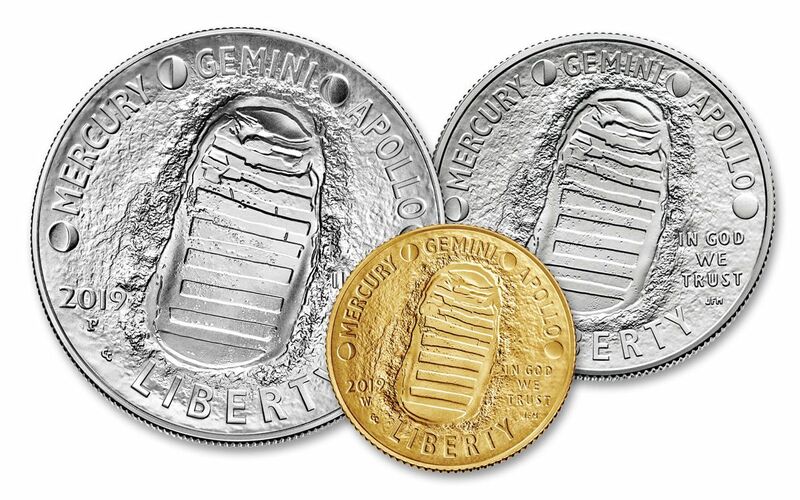 On each coin’s obverse is the indented footprint left by astronaut Neil Armstrong along with the names of the space programs that led to such a historic moment: MERCURY, GEMINI and APOLLO separated by phases of the Moon. Flip the coins over and you’ll see the outward curve of an astronaut’s helmet. The design recreates a close-up of the famous photograph snapped by Neil Armstrong of Buzz Aldrin. 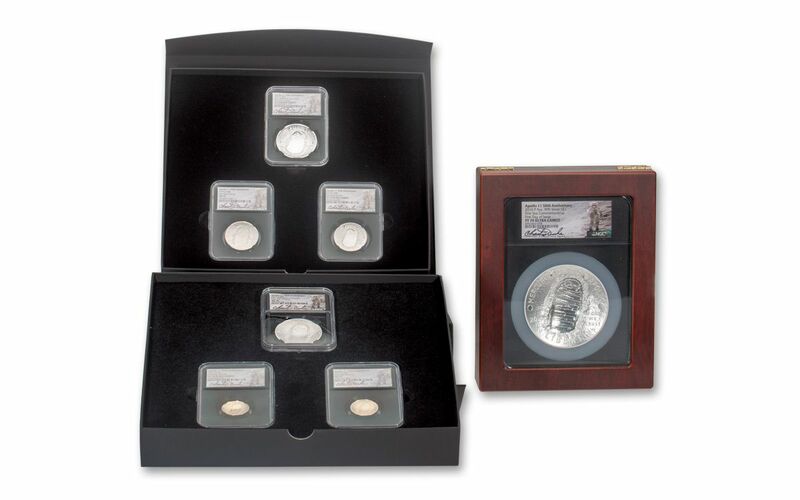 Now you can get a spectacular seven-piece set that includes one of every coin in the series. 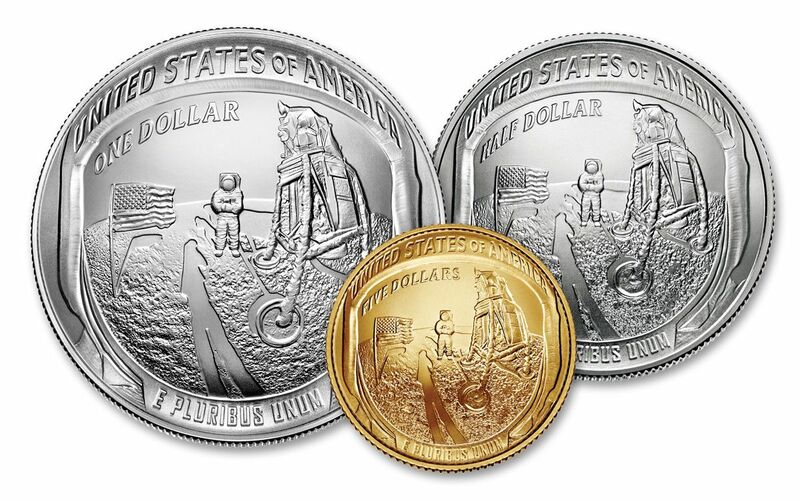 This fantastic set contains two clad 50-cent pieces, two one-ounce silver dollars, and two $5 gold coins – one each in Brilliant Uncirculated (BU) condition and Proof condition, respectively – and a single five-ounce silver Proof. The silver coins come struck in 99.9% fineness. The gold coins come in 90% fineness. Each coin is official legal tender in the United States, and each coin offered here comes graded by the Numismatic Guaranty Corporation (NGC) in perfect Mint State-70 (MS70) or Proof-70 (PF70) condition – flawless even under magnification! 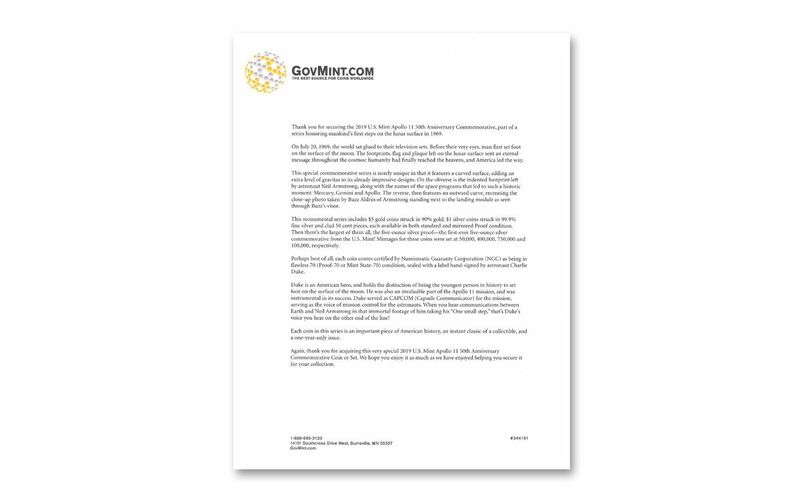 In addition to a perfect grade, each coin comes certified as a First Day of Issue (FDI) coin, meaning the coins were received by NGC for grading within 24 hours of the initial mint release. 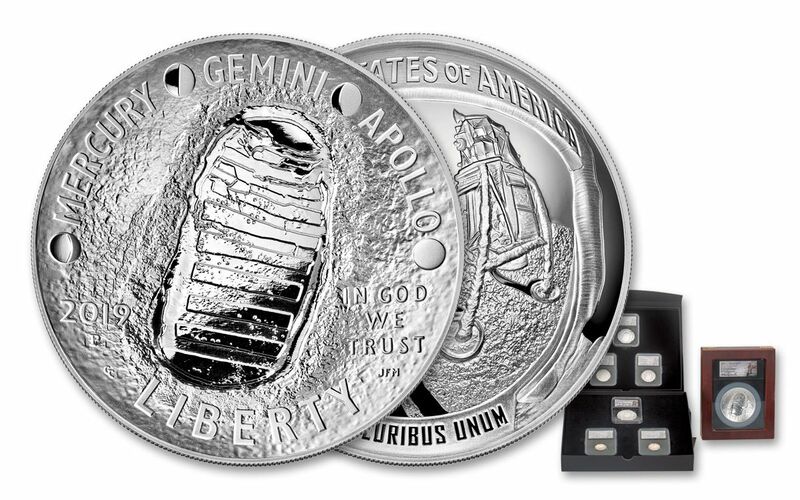 Best of all, these coins come sealed with labels bearing the hand-signed signature of astronaut Charlie Duke, who not only served as CAPCOM (Capsule Communicator) for the Apollo 11 mission – meaning he was the voice of mission control for the astronauts—but he later became the youngest person to ever set foot on the lunar surface. As a special bonus, this 7-piece set comes with a genuine piece of Kapton Foil used in an Apollo mission. This material covered the command module as a heat shield during re-entry into our planet's atmosphere. To give you an idea how important this material is, just remember the concern about the heat shield from the Apollo 13 film. 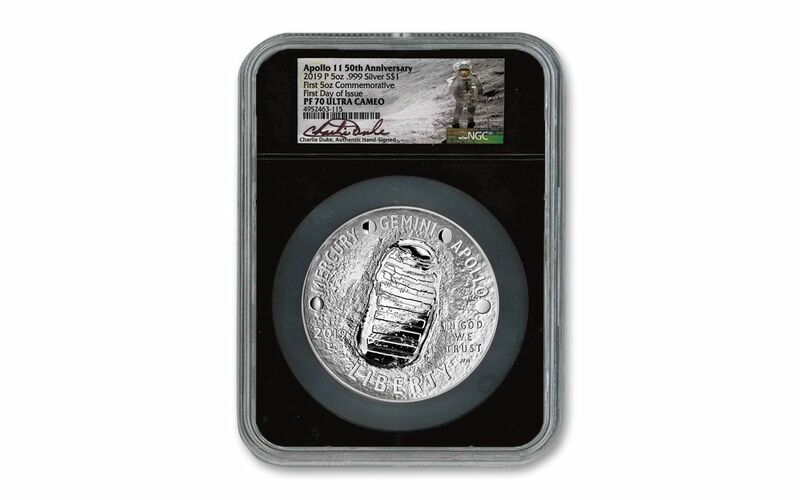 Not only will you own one or more pieces from an historic curved series from the U.S. Mint – a series commemorating one of America's greatest achievements – but you'll also take home the hand-signed signature of a man who's set foot on the surface of the moon, as well as a genuine piece of Apollo Kapton Foil! Each foil piece comes certified by Collectibles Authentication Guaranty (CAG) as authentic and genuine in every detail. Just imagine the jaw-dropping reaction from friends and family as you show them your piece of real Apollo material that's been to space and back! 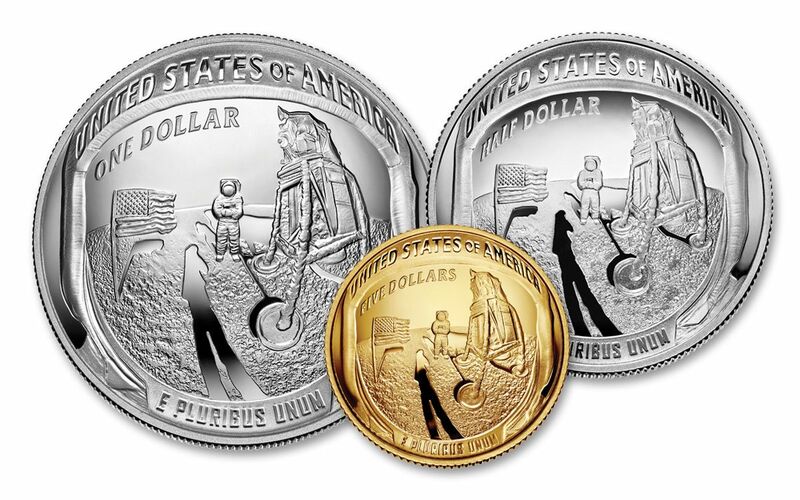 As a one-year-only issue, these curved coins will never be struck by the U.S. Mint again. When they’re gone, they’re gone! Don’t miss this historic release – it’s one small purchase for you and one giant leap for your collection! LEGAL-TENDER COINS – These coins are legal tender in the United States with 50¢, $1 and $5 denominations. STRUCK IN GORGEOUS UNCIRCULATED CONDITION – The coins in your 2019 Apollo 11 50th Anniversary Seven-Piece Set have been graded by the Numismatic Guaranty Corporation (NGC) as being in either Mint State-70 (MS70) or Proof-70 (PF70) condition, distinctions that mean your perfectly-graded coins will have ZERO imperfections – showing all features and fields exactly as the engraver and mint intended. 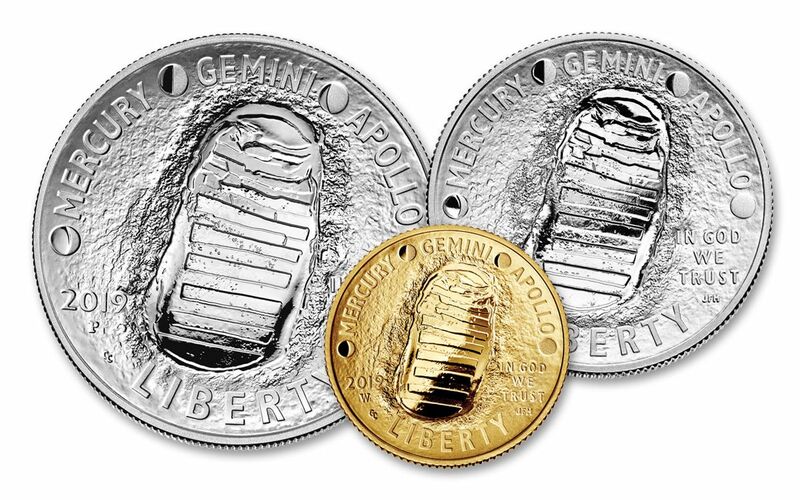 KEY FIRST DAY OF ISSUE CERTIFICATION – NGC has graded your Apollo 11 commemoratives to be First Day of Issue (FDI) coins, meaning they were received by NGC or an NGC-approved depository by the release date or on the business day within 24 hours of the official release date. 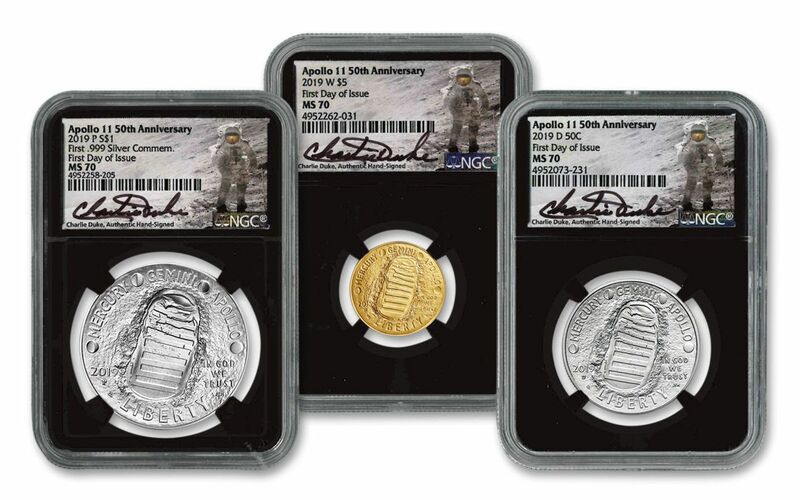 SIGNED BY A MAN WHO WALKED ON THE MOON – These coins feature an exclusive label personally signed by astronaut Charles “Charlie” Duke, CAPCOM (Capsule Communicator) for the landmark Apollo 11 mission. 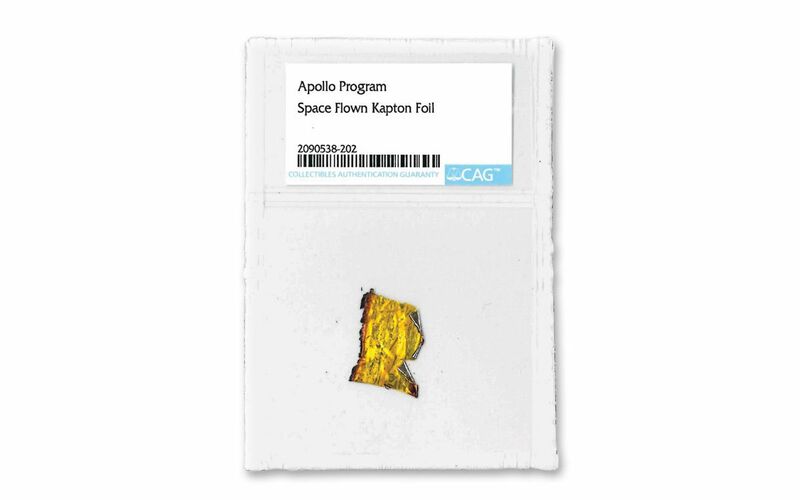 APOLLO-FLOWN FOIL – This 7-piece set comes with a genuine piece of Kapton Foil used in an Apollo mission. This material covered the command module as a heat shield during re-entry into our planet's atmosphere. Put the first man on the moon into your collection and honor mankind’s crowning achievement with the 2019 Apollo 11 50th Anniversary Seven-Piece Set. Order yours now!